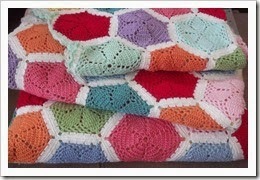 On Saturday I received the most beautiful Crochet Blanket from Barb. Words just don't seem to explain how special I feel. I envisaged a throw but no, this one is HUGE, Queen Bed Huge. Barb, thank you, thank you, thank you. Yes, Barb also made Lily a blanket and again it is HUGE. Lily Loves handmade goodies and her blanket has not left her side. makes sure we put it over her when she goes to bed. Here are both our blankets together. Mine on the right, Lily's on the left. of your beautiful blankets, each, to treasure forever. 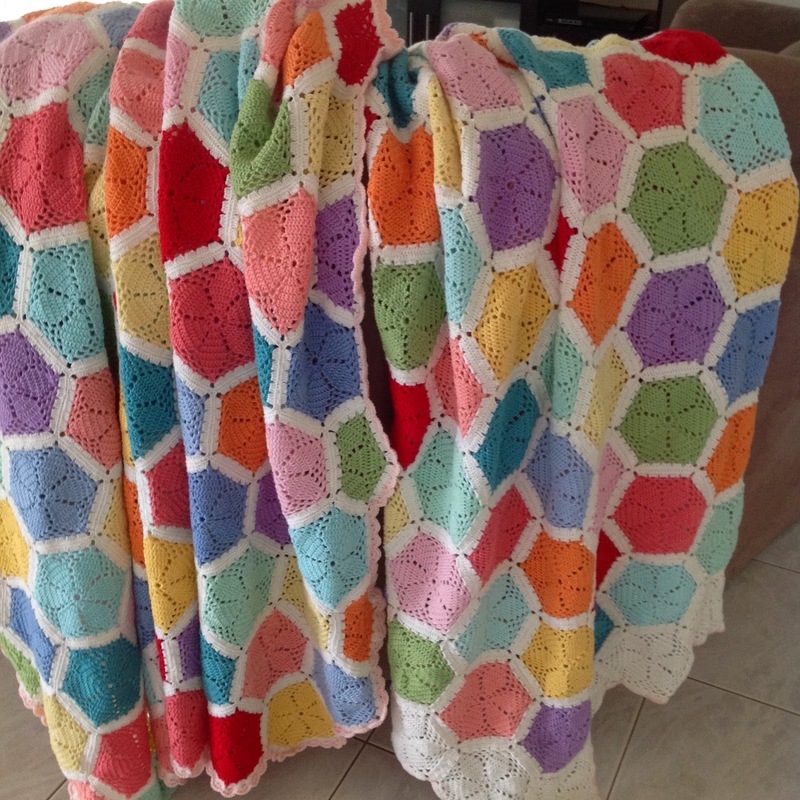 wow Barb is so very clever and very generous and her gifts come from the heart,love these blankets,enjoy Sharon and Miss Lil. What wonderful gifts for you both - they are such treasures and so is the friendship you and Barb share. How beautiful are your rugs. Barb is such a clever girl. I'm sure you'll both enjoy snuggling under them. These are indeed gorgeous blankets. Love the colours. 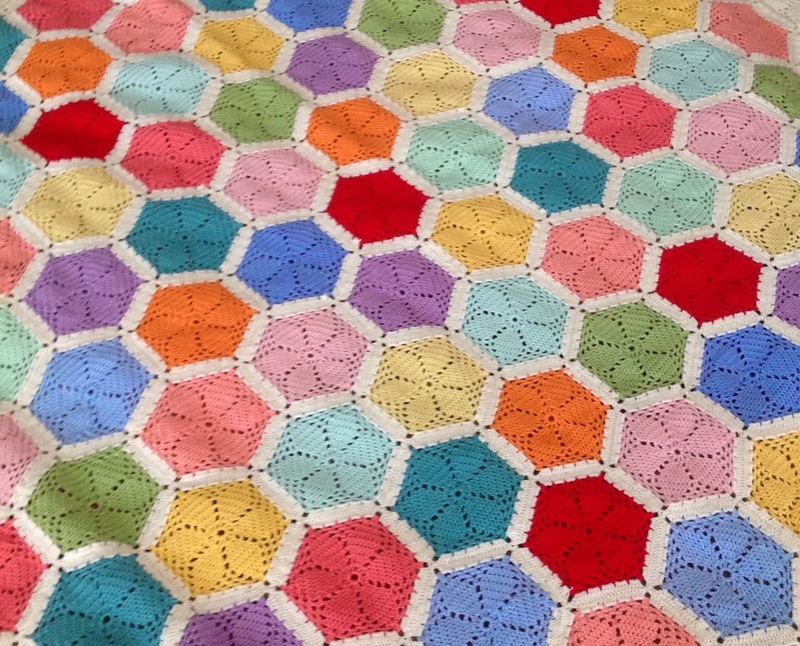 Gorgeous blankets. Barb is very talented. 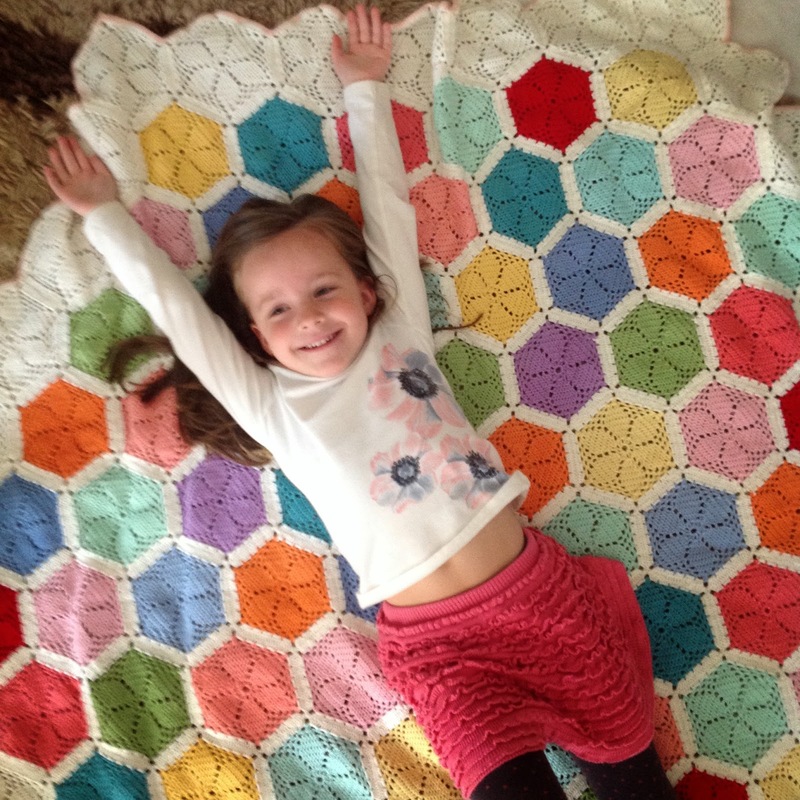 The blankets are absolutely beautiful - and how neat that Lily received one too! Barb sounds like one special lady! What beautiful blankets - how special you must feel. How priceless is that look on Lily's face..
Those blankets are amazingly beautiful! What a talented crocheter Barb is. How lovely.... what a great friend. Wow! Send me Barb's contact info - I want to do a swap with her. LOL! It would take me a couple of years to do all that crocheting. Absolutely beautiful. Your blankets are amazing. I am stunned by Barb's beautiful work. You both have something wonderful to treasure. Barb sure is a sweet-heart! 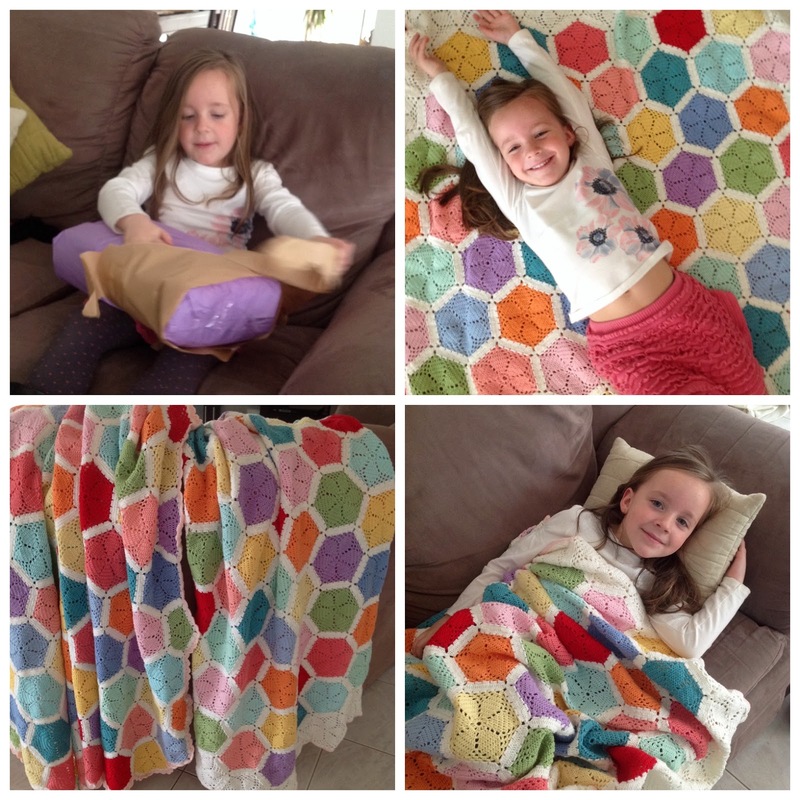 It makes me smile to know you both love the blankets I made you and that smile on Lily's face certainly says it all! I had so much fun travelling around Tassie using the bag you made me :) Barb. Just so beautiful and you are right. - stunning! Very very special. Well done Barb. Very talented.